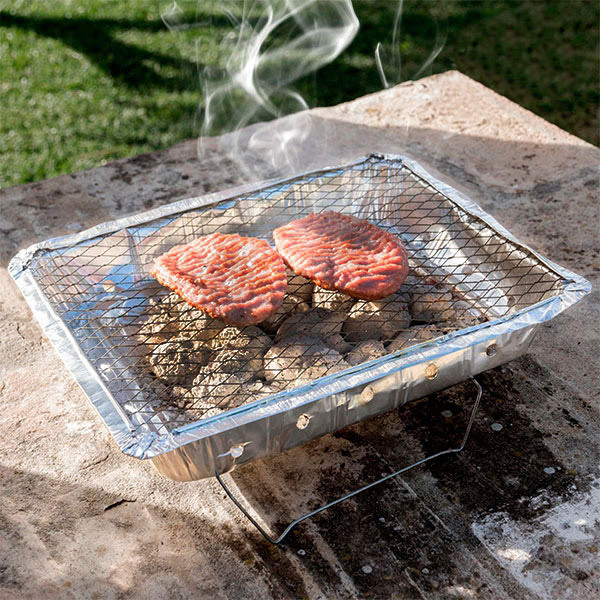 BBQ disposable barbecue. 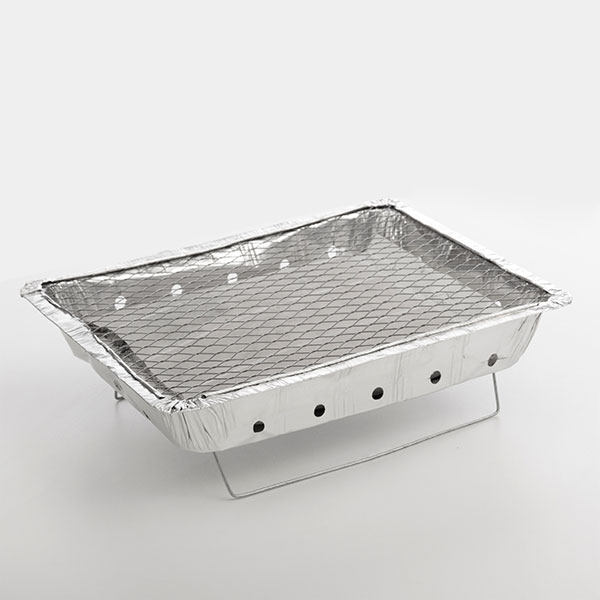 This disposable barbecue includes the coal needed for enjoying a great outdoor barbecue, lighter paper and base. Made of aluminium. Approx. duration: 1 h and 15 min. Approx. dimensions of the cooking surface: 31 x 24 cm.